I DEFYING DECAY sono un mix eclettico di culture e formazione classica, un ibrido nato da molte influenze create dalla passione condivisa per la musica. 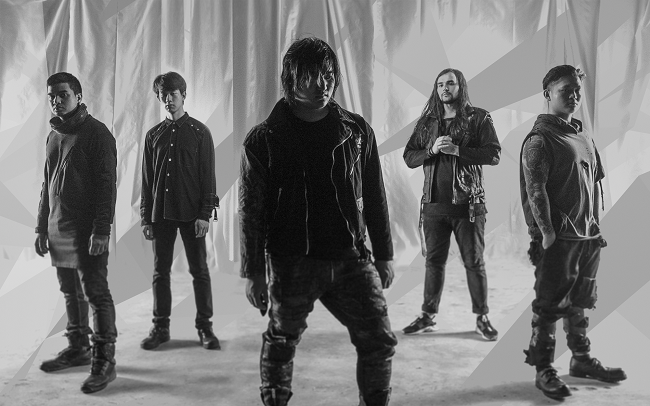 Dopo essersi consolidati in Oriente, la band è ora pronta ad affacciarsi sul resto del mondo, seguendo le orme di band come Crossfaith e Coldrain. La partenza è affidata a “Ghost”, ballad malinconica e primo estratto del nuovo album “Metamorphosis”, previsto per il 2019. In chiave visual “Ghost” è un’attenta costruzione di metafore e motivi, indizi nascosti che suggeriscono temi più profondi presenti all’interno del disco. Allo stesso modo, lo stile cinematografico si scontra con prestazioni vibranti e ritratti che introducono la band gradualmente in questo primo video. A proposito di brano e video, il frontman ‘Jay’ Poom Euarchukiati spiega: “The song was inspired by anime blockbuster “Your Name” and is probably our first attempt at writing a song that’s about a relationship. “Ghost” is really about the idea of loving someone that doesn’t actually exist, isn’t there or the same anymore. The video performance is meant to be a bit more abstract and was inspired by the likes of The Prodigy – you can’t see too much of our faces, and we used 90s dance / rave scene lasers to light up the dark room. The shoot took place in a World War I Bunker and provided the perfect cold, dark vibes we wanted for the video. This upcoming album is our journey. A journey that’s tested us, changed us and changed us, changed us as people, changed us as artist. This has been our metamorphosis. We speak through our music and we want to share it with the world. This is DEFYING DECAY”. ‘Jay’ Poom Euarchukiati (voce, chitarra e synth), Howard Fang (chitarra), Kongpop “Jump” Thongrat (chitarra e piano), Theon Adam (basso) e Mark Mironov (batteria).